The Cambridge Biomedical Campus is planned to have an incredible 25,000 staff by 2030. To put this into context, that’s nearly as many people coming in to work each day as live in Trumpington, Queen Edith’s and Cherry Hinton combined. It’s more people than live in Thetford, Huntingdon or Newmarket. 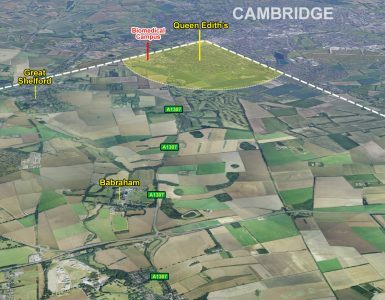 It’s fair to say that Cambridge has never seen any development on this scale before. 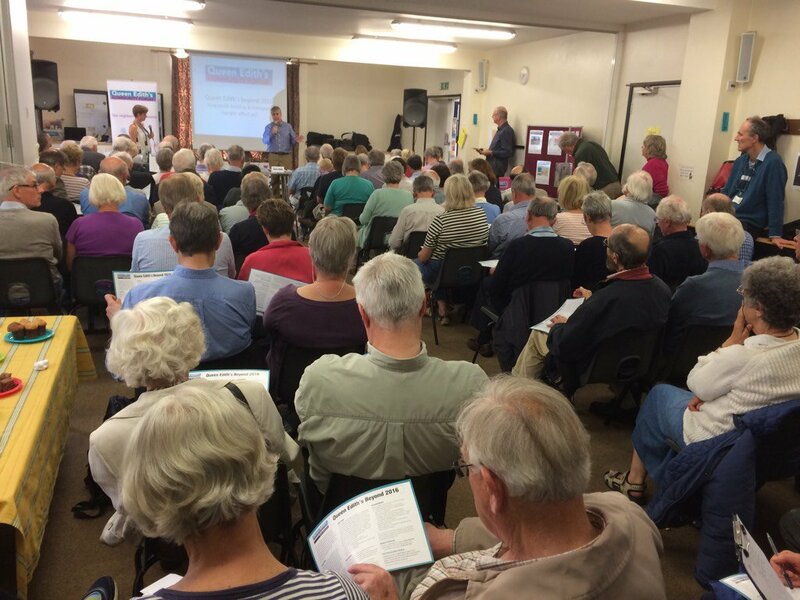 On 9 February 2017 the Queen Edith’s Community Forum organised a presentation to local residents by Simon King, the project manager for the Cambridge Biomedical Campus, covering the history and plans for the site. Over 60 people attended, and we are extremely grateful to Mr King for his time and insight. Video of the evening was once again organised by the indefatigable Antony Carpen, and is available below in two parts: Mr King’s presentation (approximately 30 minutes) and the equally interesting Q&A which followed (approximately 45 minutes). In between the two videos below, we have Mr King’s slides, which you might want to scroll through as the first video plays. The authorities assessing the various transport approaches to Cambridge are now looking at the A1307 Babraham Road leading into Hills Road. The Queen Edith's Community Forum is organising a public meeting on 8 March.